Oh gosh, yes! Of course it’s fun. Partly because it’s relevant, but partly because there are an awful lot of things that are basically just fun stories. I wrote a book, Economics is Everywhere, which contains stories from my life and things I see, designed to illustrate economic ideas. Some of them are just hilarious. And it’s not just me, whose humour is sort of weird, I admit. Almost anyone can read them and get a good laugh out of them, while learning something. And that’s the best way to teach, I think. Can you give me your favourite example? I have lots of favourites! It’s like choosing among my children. How off-colour are you allowed to be on this? Every year 500 students in my introductory economics class have to write a story like the ones in my book. Last year one student wrote that it was three in the morning on a Sunday, and she was in the dormitory lounge having been “sexiled”. Her roommate had thrown her out of the room, for reasons that are implicit in that term. She argued that this was a wonderful example of what we call “externalities” – her roommate and the roommate’s boyfriend were making so much noise it was impossible to sleep there. Moreover, they were also disturbing people down the hall, because the walls are so thin. There’s also the question of who owns the rights to the room – this is called an issue of “property rights”. So what the girl illustrated was both the concept of an externality, and the notion of property rights in a very cute way. I thought that was a winner. It’s not the best, but it’s well up there. The top 10 each year out of the 500 get extra credit, and I steal a few stories for my book too, with full credit to them. But economics is hard isn’t it? To be a practitioner, you have to be good at maths, for example. Keynes had a wonderful line, that you have to be good at maths but not too good, you have to be good at history but not too good, and you’ve got to be good at philosophy but not too good. I really think that’s the case. I’ve seen people who are superb at maths, who really have no intuition at all and can’t think like an economist, even though they can solve the most abstruse math problems. You can’t be too good at anything, or you wouldn’t be doing this. OK, but it’s a question of degree. When I went to Harvard as a graduate student, economist Jeff Sachs was teaching a class on the inequality of nations, why some nations are so rich and some so poor. I wasn’t studying economics, but I went along to the first class. He started talking about what he was going to teach, and I thought, “Wow this is so fascinating, I can’t believe my luck that I’m here.” Then after 15 minutes of preamble, he started the actual class by writing an equation on the board. At the higher level of course that’s true. It’s going to be more abstruse. I teach econometrics and even there I like to think that I can pick sufficiently neat examples to get across the ideas and the techniques that are still fun. But at the introductory level, to my mind, there’s no excuse for kids being bored. If they are, if people tell me it’s the most boring class they ever took (as my son did when he took it at Yale, I think partly to make me feel bad) it’s just bad teaching, that’s all. Of which there is much in my business. I got that example from a student who raised his hand in class. The best examples are the ones I get from the kids. Is it because they understand what’s hard to understand? Suddenly something clicks in their minds. I’ve gone through something theoretically and they realise that something in their own lives is an illustration of it, and that’s exactly what I want. Let’s go through your books. The first is from 2011, Big-Time Sports in American Universities. Tell me about it and how it fits into the “economics is fun” theme. It’s fun because large numbers of people in this country, myself, to a small extent, included, enjoy sports. The second thing is that the US is unique in that the training grounds for professional athletes are, and have increasingly become, universities. No other country in the world has universities that also train professional athletes. What’s the economics of this? Who pays for it? What about the labour market for college athletes? Here’s the thing that intrigued me most, and I learned it from Charlie Clotfelter’s book. (I should stress, he is a buddy of mine.) I hadn’t thought about this, but when you, as an alumnus, give money to a university in order to get good seats at football games, it’s a gift to a university and therefore it’s tax-deductible. So if I were to give $5,000 to UT Austin for football tickets – which I can assure you I don’t do for a whole variety of reasons – I’d be getting the federal government to pay about $1,600 of that, because of the tax deduction. So, in a very real sense, the federal government and you, the average taxpayer, are subsidising big-time sports in American universities. I had not thought about that, and it struck me as outrageous. 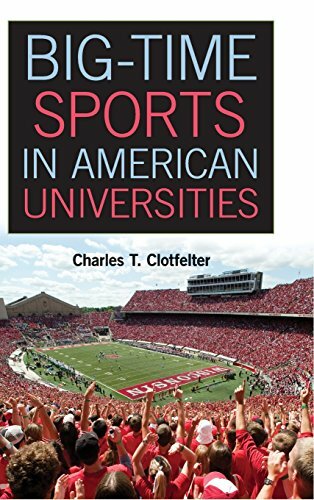 As I wrote on the back of the book: “A fascinating, insightful discussion of the arms race that is big-time intercollegiate athletics … The convincing, novel demonstration of the role of tax subsidies in supporting these operations should raise every reader’s blood pressure.” It certainly raised mine. It’s also interesting how different sports and different schools attract more or less money. For example, at Clotfelter’s school, Duke, the football stadium is empty and you can basically get a ticket for free. But in basketball Duke is a powerhouse, and in order to get a seat you have to contribute about $7,000. At the University of Texas, we have so much money you’ve got to contribute for all the sports, but football much more so, if you want decent seats. The athletic system in the universities is just a bizarre thing, and this was the best explanation I ever saw of what drives it. Yes, Charlie is a professor of economics at Duke. 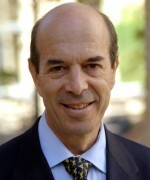 He was also vice chancellor and vice provost at Duke, so he has an administrative sense of how universities are run. He was more involved in that than most professors would be. Let’s go on to the book by Robert Heilbroner, The Worldly Philosophers. This is the oldest book I’ve chosen by far. The first edition came out in 1953 – I read it in my senior year in high school. That’s one of the reasons I love this book. We had what was called the Honours Social Studies class. The teacher was quite sophisticated, a very unusual guy. He had an MA from Harvard. Heavens no! It was suburban Chicago. The median family income in our suburb in 1960 was $3 different from the national average. It was, quite literally, middle class. We took this class and six weeks of it was an economics unit, and he assigned this book. It’s what got me into economics, quite frankly. 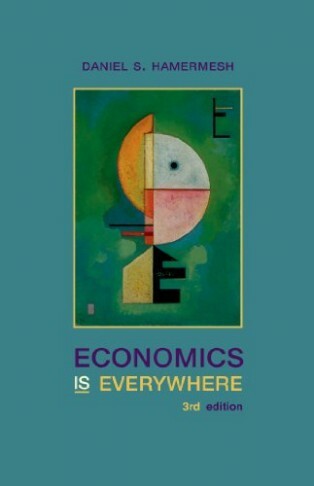 I am an economist today because of this book. Let me tell you why. The book did two things. Firstly, it talked about the problems economists deal with. At that time I was terribly interested in public policy and wanted to improve the world. I still am, but I’ve sort of given up hope on much improvement being possible. The other reason is that a number of these essays, at least in that edition, had a few equations. I was quite good at math – not great, but good. I thought, “Here is a chance to use math and think about something in a formal way which, along with being useful, is just a wonderful combination.” For me, that was just glorious. We also had anthropology, sociology and government, but they all just paled by comparison. 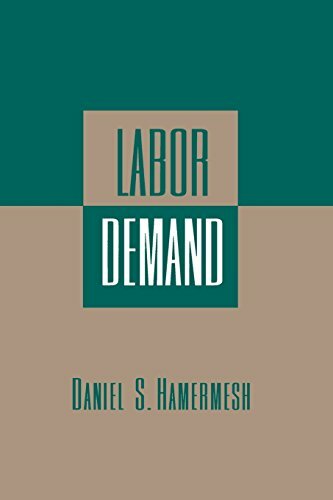 It was the beauty of the formality and the specificity of economics which to me was demonstrated in that book. So it had tremendous influence. In the mid-1990s, I actually wrote Bob Heilbroner, and this was really bad of me. I wrote: “Your book got me into being an economist. I wish some of your more recent books had inspired me as much as this one did.” That wasn’t a good thing to say. The guy was quite far left – he wrote a lot of stuff which I felt was rubbish. But this book is just beautiful, it really is. 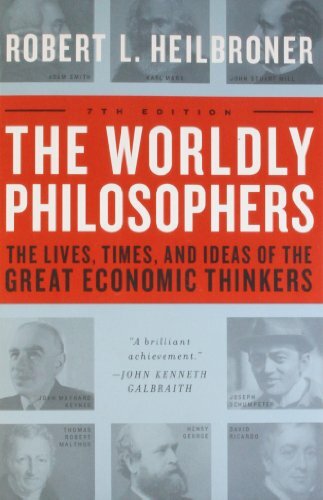 At this point it might be worth mentioning that it’s subtitled “The Lives, Times and Ideas of the Great Economic Thinkers” – so it starts with a chapter on Adam Smith, and then goes through, covering Malthus, Marx and so on. The point I was going to make is that with the public perception of economics being on the negative side right now, and the limitations of economics being highlighted in the media, this book, The Worldly Philosophers, is just fantastic at showing what an amazing thing economics was, what amazing insights it brought to bear on the world. People just hadn’t thought about things in that way before. I agree, and a lot of the insights are still very much valid. Nonetheless, all the people in the book have been defunct for at least 60 years now. There have been some great economists since then, in the last 30 to 40 years. For example, George Akerlof, with his notion of asymmetric information and the failure of markets. It’s a truly brilliant idea and it’s ubiquitous in our lives. There’s Gary Becker, who in my view is the top economist of the last 50 years. His notions of family bargaining and how families behave are terribly important, and affect how, in the end, we all think. These guys who Heilbroner is talking about and the other ones of the last 50 years – none of whom is a macro person, by the way – have had equal influence. It goes on. It just is no longer stuff that is relevant to the macroeconomy. Unfortunately that’s a very important area and we have been derelict on it. What’s the solution, do you think? I do believe in markets. People are interested in being useful in this profession. It doesn’t mean the people who were the bad guys from the last 20 years in macro are going to be doing anything different. They’re incapable of doing anything different! But markets do work and the dead and useless get shoved aside by the young and useful. I’m a tremendous optimist. I do believe markets work and that people run to fill niches. There’s an obvious niche here, and you’re already starting to see it being filled. I’m sure the journals in academe are going to reflect this change too. I haven’t read your next choice yet, which is a pity, as I love murder mysteries. 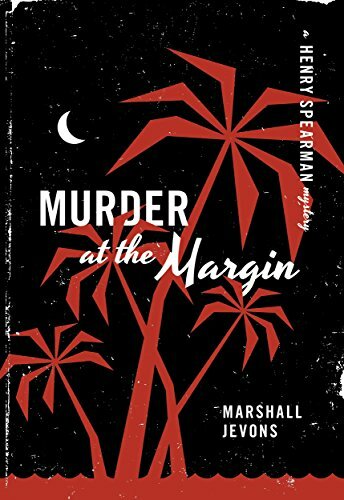 It’s called Murder at the Margin by Marshall Jevons. I chose this partly for personal reasons. First of all, as you probably guessed, the author’s name is not a real person. It’s two guys who were buddies in graduate school and got together and wrote this. I also like it because it takes place in St John, USVI, which is where I spent my honeymoon. In fact, it takes place at the same resort, which was the only place there at the time. Finally, I chose it because it set off a number of people writing economics murder mysteries. This is the first of a series, not just by them, but others did the same thing. Writing these murder mysteries was all the rage in the late 1970s and early 80s. In that sense it’s an innovator. It’s also quite a good mystery. I didn’t read mysteries at that time. Nowadays I read immense numbers of mysteries and as they go – it’s not The Girl With The Dragon Tattoo, that’s for sure – it’s still a pretty good one. Coupling that with a chance to illustrate some economics. Yes, the chief protagonist, I gather, is a distinguished Harvard economist called Harry Spearman? On the dust jacket they have Henry Spearman standing between a pair of palm trees. He looks an awful lot like Milton Friedman. The face is not quite round enough, but it could be Milton. I was going to ask, is it based on anyone? 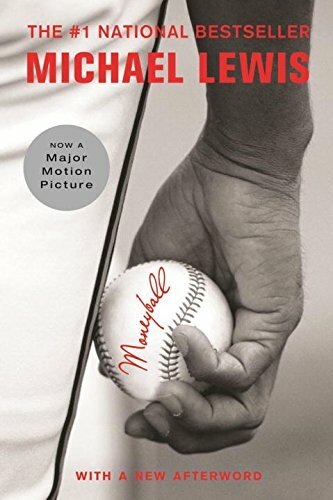 Let’s talk about your next book, Michael Lewis’s Moneyball. Everybody knows this now because Brad Pitt is in the movie. It has to be presented in a different way, but it is a good reflection of the book, yes. It hits all the high points as well as being wonderfully entertaining. For example, in both the book and the movie, you really do get a feel for this guy, Billy Beane, who everybody said looked like a great baseball player. He wasn’t, for a remarkable variety of reasons, none of which you can put your finger on. He got the idea that if you started thinking about this (ie, how you recruit new players to your team) in a formal way, you can do better than people who just do it based on their gut. I’ve assigned this book to a “first week of the year” group a couple of times. The guys think it’s wonderful, though sadly the women did not find it very interesting. I also have kids read it in my econometrics class. There’s a huge amount of econometric research on baseball. What the book is really about is a guy who is using some econometrics to predict which players will do better in advancing wins, which is a remarkable use of economic thinking. These guys really thought out of the box. So one of the guys is from Harvard and he has knowledge of economics but not of baseball. Using his computer, he is able to help Billy Beane choose the right players for the team? Yes, he’d done some modelling. But without Billy Beane’s feel for the game, and willingness to use it, it wouldn’t have happened either. Like most good things, it’s rarely just one person – it’s a juxtaposition of a couple of people’s views that makes a nice innovation. 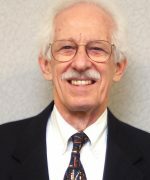 There was a paper written by Raymond Sauer of Clemson University, published four years ago. The key point of the paper, and the point of the movie, is that the big guys, like the New York Yankees (whom I hate with a passion and have since I was five years old) have all this money. Of course they do well, because they can buy the best. Nonetheless, for a few years, because of what Billy Beane and his statistical people did, the Oakland As did phenomenally well on a truly miserable payroll. What was neat, that this paper showed, is that within three years, the As were back on the regression line. In other words, the innovation that they created spread very rapidly, so everybody started doing the same thing, and their competitive advantage disappeared. It’s another great illustration of how competition can erode an innovating entrepreneur’s advantages. And the innovation was that people who look like they’re good at baseball aren’t necessarily, and people who look rubbish can be good? If you look at their ability to increase the chance of a win, people used to look at batting average, which is hits over at bats. But an at bat doesn’t occur if you get a walk, or if you do a sacrifice fly. But a walk is as good as a single. So what he started looking at is bases or on-base average, and using these to predict how well a player would do. If you do very well at getting on base, if you walk every single time, you’re golden, but your batting average would be zero. So he started thinking about different statistics and people started putting these inputs into a production function for runs and wins. That’s the technical innovation. So some people are good at walking are they? Some people get walks a lot. For example, during the World Series, Albert Pujols walked about three times in a row because people didn’t want to pitch to him. They were afraid he’d get a hit. That didn’t help his average, but it made him worth a lot, and people pay off on that. He’s paid a bundle. Some people, for whatever reason – they have a stance, or because of their size, or the fear they instill – get walks. That’s just one example. But the book is neat because it brings together both this technical innovation and the very human story of this guy who was going to be a superstar, and didn’t quite make it. The movie doesn’t quite give you the same feel of sympathy for the Brad Pitt character as the book does. I found him more sympathetic in the book. In the movie there wasn’t sufficient time to develop him as a character. And he probably wasn’t quite as good looking in real life? He’s quite a good-looking guy, actually. 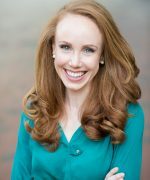 Generally, the philosophy you’re advocating in this interview and for your students is that they can get excited about economics and then apply the skills they learn to the real world in innovative ways? They can apply it to almost anything they do. That’s what’s so neat. This stuff is just everywhere, like dealing with your roommates. Your roommates’ relation with you is a game theoretic problem. Who does the dishes? Who does the cleaning? For anything involving interpersonal relationships, the stuff we do in economics will be useful. On the first day of class, I tell my students: “You think economics is about money. It’s not. It’s about scarce resources.” Even if you have all the money in the world. It so happens that one of the richest people in America lives in this town, Michael Dell. He’s tremendously constrained because he has only 24 hours, just like you and me. So much money to spend! So little time! So these are the ideas I try to get across. I’m one of the few remaining people who are regular professors, who teach large classes. Mostly it’s farmed out to temporary staff, sadly enough. I think this is a loss, because if we just tell our kids this is a bunch of formulas, or a bunch of graphs, and don’t give the appreciation that, firstly, it’s about the real world, secondly, that it’s a more useful way of looking at the real world than any other and thirdly, that it’s fun, we’re losing a whole lot of people who will never find out what economics has to offer. 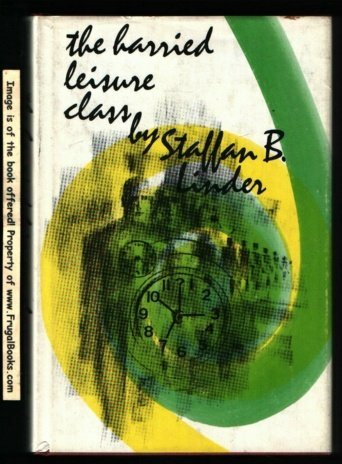 This leads nicely into your last book, The Harried Leisure Class, which dates from 1970. This is a wonderful book. It’s a popularisation of an article that Gary Becker published in The Economic Journal in 1965, called “A Theory of the Allocation of Time”. The idea of that article, which I think is one of the great papers in economics, was that we have a certain amount of time, and we have a certain amount of money. We can trade part of that time to make more money, but if we do that, we have less time to spend the money. The crucial idea is that spending money takes time. Yes, you can throw it away, but then you’re not consuming. Consuming takes time. What the article looked at was how people choose the relative amounts of different things to buy in relation to how much time they take. What The Harried Leisure Class does is go through this and give examples and stories. My favourite one is about Swedish college women who said they preferred to date Swedish high school graduates rather than college students. Why? Because the high school graduates have more time, and the Swedish college men are just much too quick in everything… I don’t want to go into any further detail than that. Again, it was an issue of time and the value of time. I’ve written a number of papers based on this idea. For example I co-authored a paper on how stressed people are. It basically shows that if you have more money, you’re more stressed. You’re more stressed for time, because it takes time to spend the money. This incensed various New York sociologists who run various foundations. Their argument was that if you have money you can contract everything out. But the fact is that most of the things you do, you can’t contract out. The line I always give is, “You can pay people to sleep with you, but not for you.” You’ve got to sleep seven to eight hours yourself. You’ve got to eat. 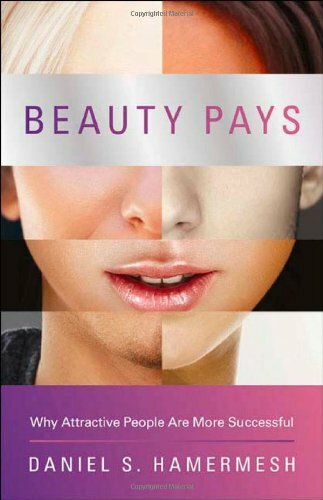 You can’t pay somebody to read Proust for you. That’s a crucial point, which again only an economist, thinking about the relative importance of constraints, would think about. So this book – and there’s a very fancy mathematical appendix which nobody would read – is just all wonderful talk about this. How over time, as our incomes go up, we get busier and busier, because it takes time to spend the money. Should we be trying to earn less, then? I don’t think that’s going to happen. I think what we should do is two-fold. One, not be too sympathetic when people complain about how rushed or how busy they are. If they want to be less busy and less rushed – earn less money and don’t bother me. The second thing is to realise that it’s the natural result of higher and higher incomes, and not complain about it so much. The American national pastime is complaining. We are remarkable complainers, and most of the things we complain about are things we have a choice over. A person who is rushed for time and has a high income could cut back on income, but they’re not going to. Ergo, they must be happier and better off doing this. So don’t complain to me about it. I think the book is very neat on that. But, like all the other ones, the fun thing about it, aside from its importance, is it’s just very nicely written. It’s fun to read.